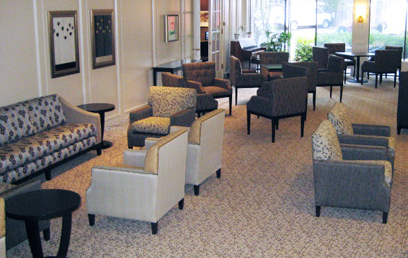 We offer the industry's most comprehensive line of furntiure specifically designed, engineered and styled for Senior Living and Elder Care factilities. Many products come standard with replaceable components and upholstery, clean-out spacing, antimicrobial finishes and fabrics, elimination of "pinch points' and tripping hazards to eliminate the worry of injury and make cleaning effortless. Choose from a wide variety of resident room beds, nightstands, wardrobe cabinets, sofas, loveseats, lounge chairs, occasional chairs, dining tables & chairs, resident room chairs, recliners, benches and ottomans.